I am in love with these gorgeous agate beads! They are so pretty! 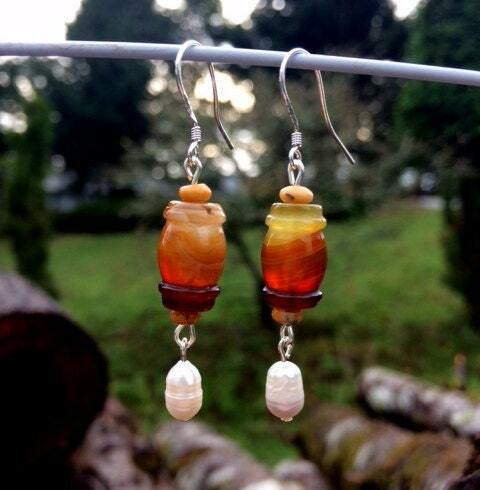 They are paired with jasper and freshwater pearls for a unique look. The earrings are about 1 1/2" long and the hooks are .925 sterling silver.